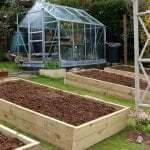 Maybe I am preaching to the converted here but if you are trying to garden on a tight budget, as I am, but still want a beautiful and productive space, without breaking the bank, then you have to think outside the box and consider your options. 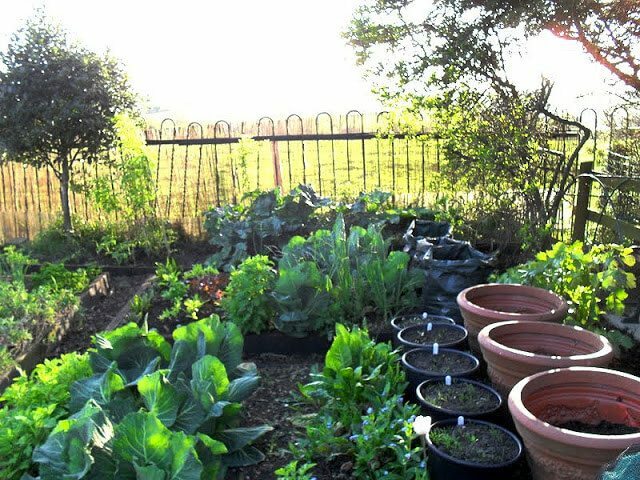 One of the greatest savings you could possibly make, is to sow all your vegetable and flower requirements from seed. You can usually find an ‘economy’ range of seeds in most stores that sell gardening supplies, although in general, garden centres only sell branded seeds, which are three times more expensive. Also at the end of the gardening season keep an eye out for shops selling off their surplus seed – I have been known to pick up seed for 75% off the original price – a bargain in anyone’s book! 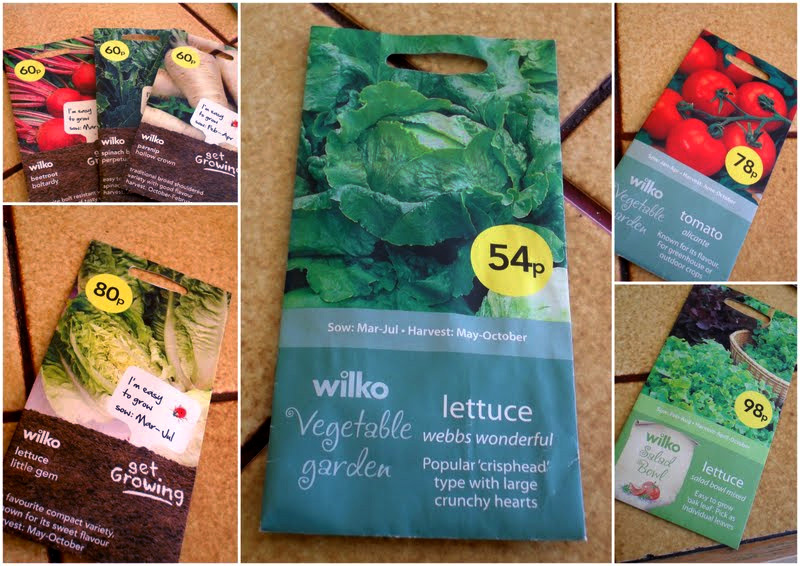 For the budget conscious amongst us, we go for the ‘bog-standard’ veg and flower seed which costs next to nothing rather than F1 hybrids and fancy new exotic varieties. One packet of a traditional variety holds up to 1,000 seeds for under £1. So even if you only sow 50 of those seeds and throw the rest away, that makes the cost of a single parsnip say, well, nothing really – one pence. Often a ‘sow before’ date is printed on the packet, which is usually only a couple of years. But it is in the seed company’s interest to give you a short life date – after all, they want you to buy more seeds. 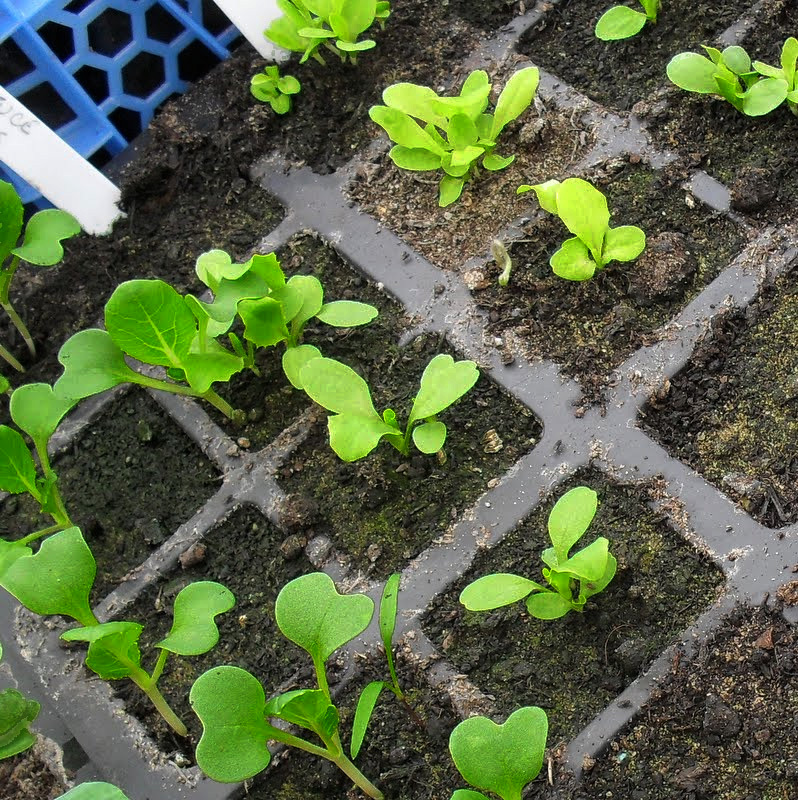 In my experience most seeds keep going for several years – lettuce is an example of this – you can still get a 50% germination after six years, and peas and tomatoes even germinate after nine or ten as long as you keep them cool and dry. 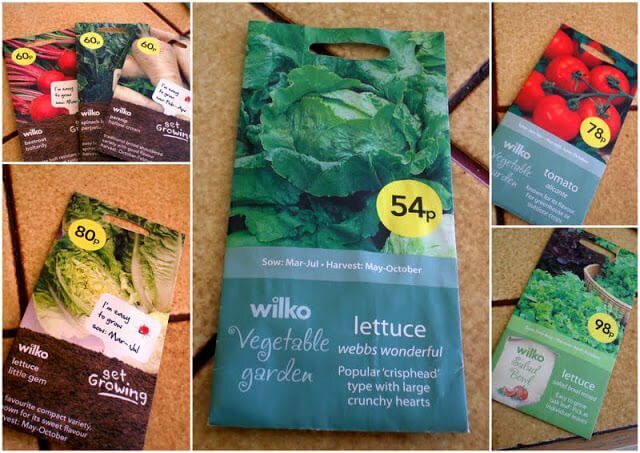 So in the interests of economy never throw seed packets away if you have seed left after the date printed on the packet you may be surprised at the results. If they fail to germinate, well, you haven’t lost much cost-wise. My best advice is not to over-sow – a generous sprinkling of seed over a seed tray means that a lot of seed is wasted. Either sowing very thinly, or better still, sowing single seeds into modules, will help your seed go a lot further, and keep down your work load by not having to thin out and waste little seedlings. Then when you make out your seed list the following year you will probably find that you hardly need to buy any more. This is what happened to me this year I had so much seed left over from last year that I could complete my seed buying for under £10 which has to be a bonus. 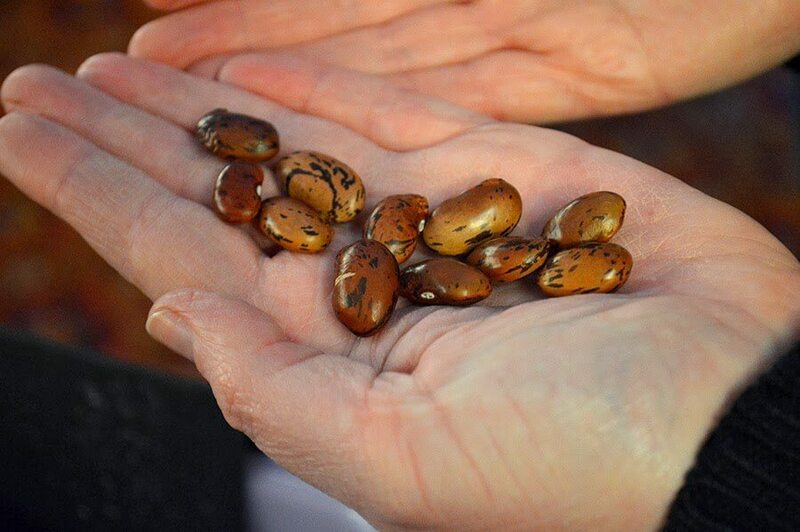 Saving seed from your own plants especially the pea and bean family – costs nothing at all – simply let the pods dry out on the plant, shuck them from the pods and keep in paper envelopes till the following year – easy peasy! When leeks go to seed and produce lovely flower heads you will find tiny leeklets growing from them which you can remove and plant out, when the flower heads dry tie a bag over the top and leave in place till the seeds fall out. Or you can just cut the leeks off at ground level instead of digging them up to use – and you will find that they re-grow – you can cut them several times. I am still using leek plants from last year using this method. There are lots of other savings to be made – containers are one. 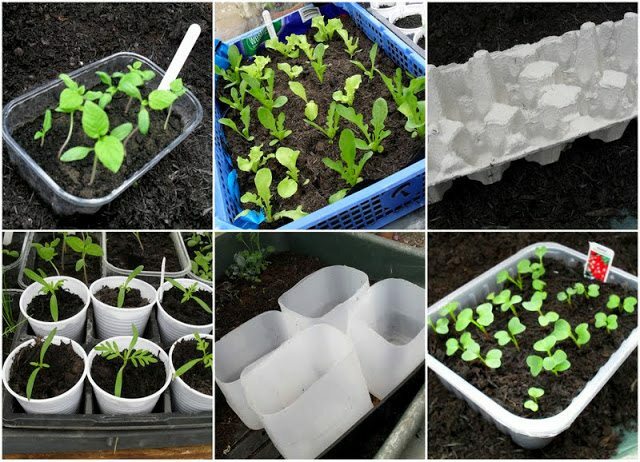 Keep all your empty margarine tubs, yogurt pots, egg boxes, and the cardboard from toilet and kitchen rolls – they can all be used for seed sowing. 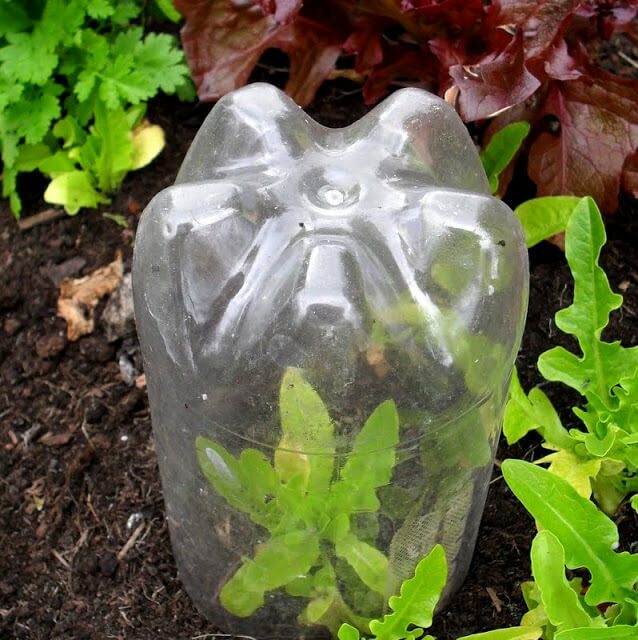 Plastic fruit punnets and meat packaging from supermarkets also make excellent containers or lids to cover your seedlings early in the year, as are one litre pop bottles. When cut in half they make excellent mini-greenhouses for your plants. I also use florists buckets, when I can find them; cut the bottoms off, stand on the soil, and fill with compost to use for deep rooted veg such as carrots and parsnips. Larger containers such as old recycling boxes or an old plastic baby’s bath also come in useful for something like potatoes. Plastic takes a long time to decompose but if you put it to another use, rather than sending it to be used as landfill then you are helping to save the planet as well. Large clear plastic bags split down the sides make excellent cloches or as a covering to warm up the soil before planting, and potting compost bags turned inside out can be used to line window boxes and hanging baskets. 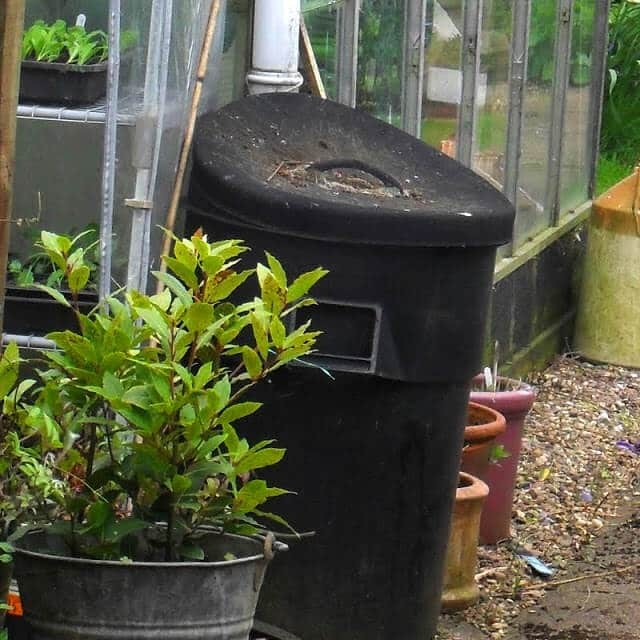 Probably your biggest outlay during the gardening year will be potting compost. 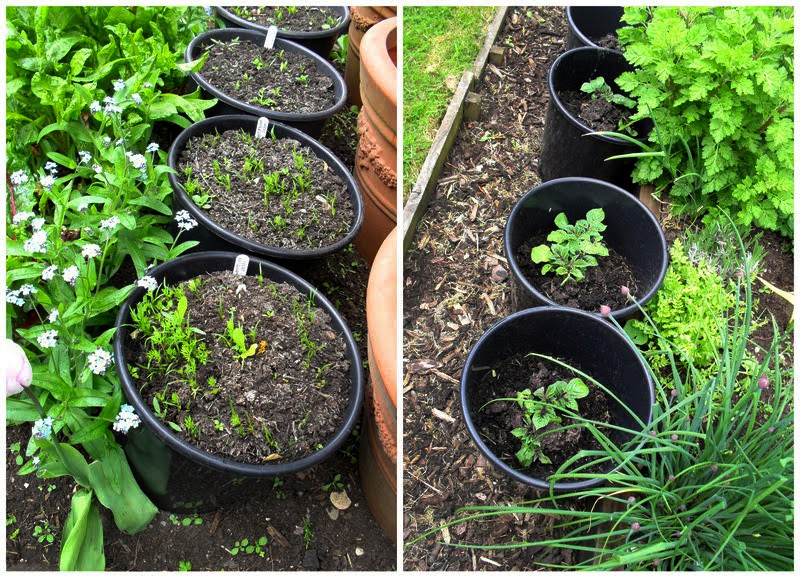 Before I needed to be budget-conscious I used to go through bags and bags of the stuff – now I buy as few as I think I get away with and mix it with my own home-made compost. I make this with a mix of veg peelings, weeds, egg shells, soft cardboard, and general garden waste and then add a bit of leaf mould from the previous years’ autumn leaves. With a few chicken pellets it’s compost fit for a king. The only time I don’t scrimp is when I buy seed sowing compost. This is a fine loam with added sand which is an ideal environment for seeds to germinate. It goes a long way and can be re-used after the seeds have been transplanted and potted on. To keep your water bills down try and save as much rainwater as you can. I have guttering and drainpipes running from sheds into dustbins and when they are full I use loose guttering to direct the water into other empty containers. They are invaluable and rainwater is so much better for the garden than tap water. 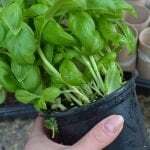 Lining containers with newspaper also helps retain moisture and less watering is needed. 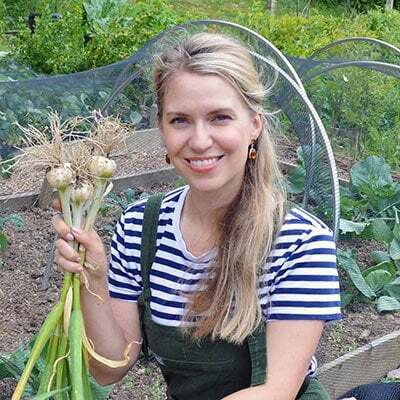 Spending money willy-nilly in the garden is so much easier than ‘credit-crunch’ gardening , but with a little time, thought and ingenuity you too can become part of the gardening on a budget community and I hope you have found some inspiration from this post. Elaine has been growing her own food for more years than she cares to remember – she made a life-changing decision twenty five years ago to leave her secretarial job and set up a smallholding which also included a large kitchen garden. She kept hens, ducks, pigs, sheep and a herd of milking goats all of which kept her fully occupied and very happy. Now she has retired and all the animals have sadly gone, but she still has her vegetable plot and several raised beds in the garden at home where she grows veg, herbs and soft fruit. A love of wildlife and nature informs everything she does in the garden where she hope she’s helped a few more birds, bees, and butterflies to survive and made the best use she can of her little part of this planet. To find out more please visit Elaine at her blog, A Woman of the Soil. I applaud you for your use of old recycling boxes of an old plastic’s baby bath to serve as instant beds for carrots, parsnips, and potatoes. Speaking of reuse, I thought that one can reuse old railroad supplies to decorate a garden. For example, chopped up tracks can be reused as walkway tiles. 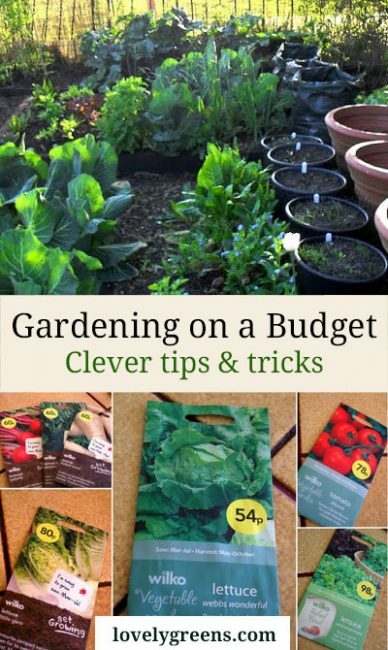 Thanks for the tips on how to garden on a budget.